Police say young driver "did not do that badly"
A 12-year-old boy commandeered a school bus and drove several blocks, a video posted to the Bangor, Maine, Police Department’s Facebook page shows. 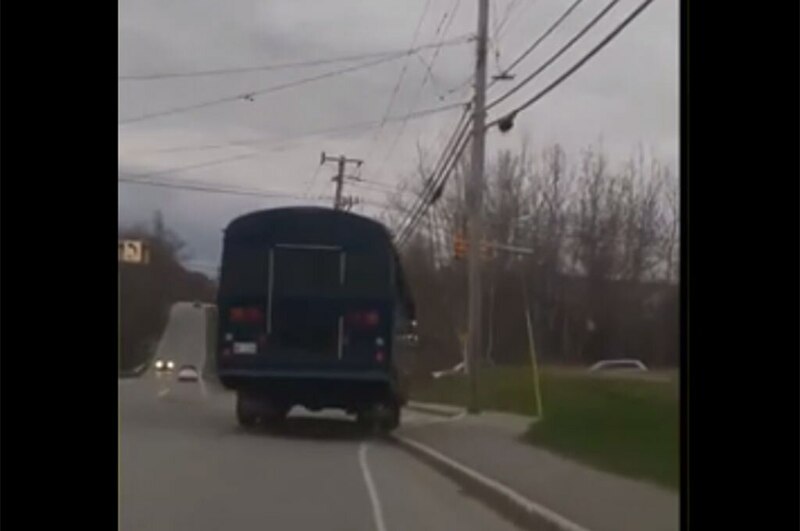 The video, taken by a local couple following the bus in their car, shows the tween swerving in the lane and riding up on the curb. In addition, the woman driving the car tells police over the phone that the boy “has hit a few signs.” It isn’t long before the bus comes to a stop and the man filming puts down the camera to remove the underage driver from behind the wheel. The Bangor Police Department said the bus was empty when it was stolen, and even commented that the young driver “did not do that badly” for his first time out. The boy was taken into custody and the citizen who stopped him, John W. St. Germain III, was recognized with a Bangor Police Department Challenge coin. Police say his actions likely spared the city a good deal of property damage and may have even saved lives. We know the urge to get behind the wheel is strong, kids, but wait until you’re of legal driving age – or at least steal something less obvious than a school bus (just kidding, DON’T STEAL).